We have two sponsors for this challenge : Molossi with a $30 chipboard and bling package and AuroraWings Digistamps with a $10 voucher. 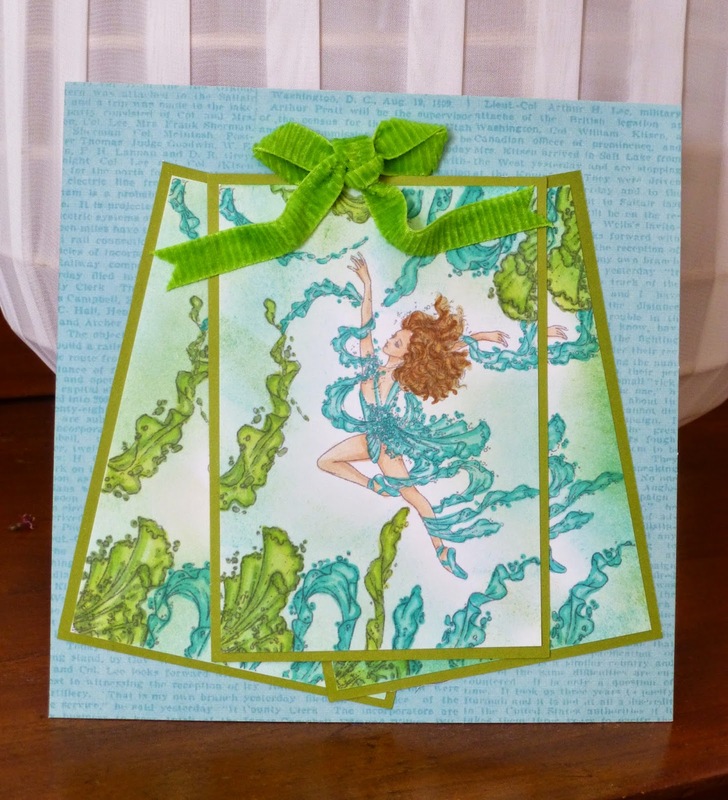 I use the stardancer stamp to create this card, but instead of sky, the dancer is in the sea with seaweeds. I also use part of the stamp to create seaweed around the dancer. Recollections paper, Copic markers YG21, YG03, YG63, BG10, BG13 and BG15, Mowed law and Peacock feathers distress ink by Tim Holtz. You have until the end of July to play with us so grab your stash !